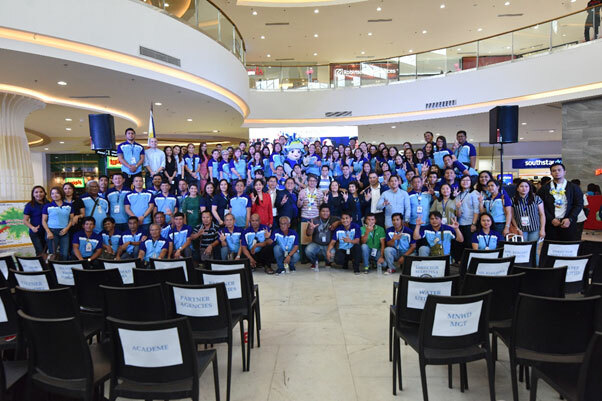 With the theme “Leaving no one behind,” the Metropolitan Naga Water District (MNWD) celebrated the annual World Water Day on March 22, 2019 at the Robinsons Place, Diversion Road, Naga City. 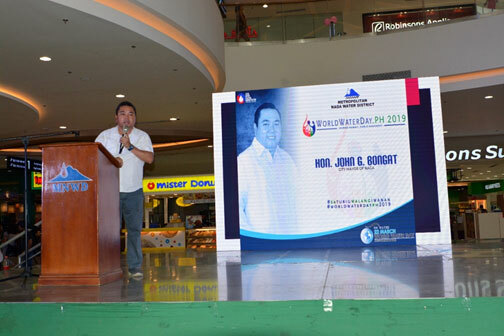 The event underscored the importance of water and the protection of our water resources given the water scarcity situation being experienced in Metro Manila and some parts of the country due to El Niño. It was another productive discussion as the event tackled pertinent water-related issues and solutions to address said challenges through community involvement and strengthened partnerships. Renowned environmental advocates both local and national level were present to share their expertise: Joanaviva C. Plopenio, OIC Institute for Environmental Conservation and Research (INECAR) of the Ateneo de Naga University who presented the Importance of Watersheds in the Face of Water Stress; Grace L. Cariño on behalf of Atty. Gil. Aromin, CESO IV, Regional Executive Director of the Department of Environment and Natural Resources (DENR) who discussed the Bicol River Basin Management Development Programs alongside Edward Dominic V. Valencia, Project Monitoring and Evaluation Officer River Basin Control Office, and Ferdinand C. Marcelo, Field Representative of Seacology Philippines who emphasized that Community Strengthening is the Key to Sustainably Managed Watershed and Water Resources. Seacology is a non-profit organization working with islanders around the world to protect threatened ecosystems and help local communities. 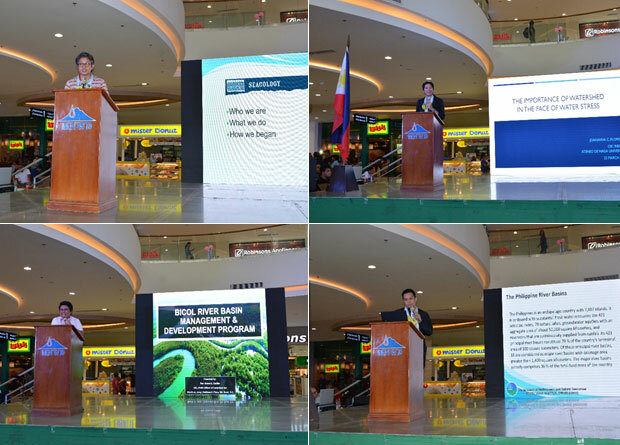 Meanwhile, Mr. Vicente Aniceto D. Rubio, OIC – Engineering and Environment Department/DMA – Environment and Water Resources Division, in his presentation for and in behalf of the General Manager, emphasized on the importance of the MNWD’s environmental and watershed programs for the simple reason that clean, safe, potable water is a product of a clean and green environment and watershed. DMA Rubio enjoined each and everyone to establish more tree farms in their respective backyards, school campuses, and other open spaces within their communities to replicate the characteristics of a forest as a way of inducing rainfall, soil and water retention and other environmental benefits of trees. Further, MNWD also showcased its 40 years of public service from 1979 to the present through the MNWD Water Gallery: A Photo Exhibit which unveiled still images of groundbreaking projects, accomplishments, and the pioneers of the water district. 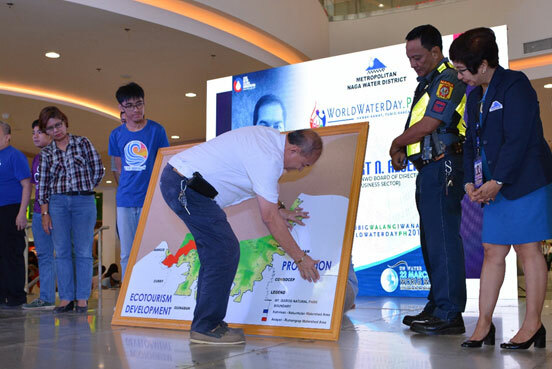 Another highlight of the event was the unity puzzle assembled by the MNWD Board of Directors headed by Chairman Jorge T. Palma, the Management, and the stakeholders of the MINP during the Commitment Setting that indicates the integrated efforts of each sector for the rehabilitation, conservation, protection, ecotourism development and establishment of Mt. Isarog Natural Park. Among the stakeholders who signified their commitment were Bicol State College of Applied Sciences and Technology (BISCAST), Central Bicol State University of Agriculture (CBSUA), Mariners Polytechnic Colleges Foundation (MPCF), Philippine National Police (PNP) – Naga, Rotary Club of Naga (RCN), Department of Trade and Industry (DTI), Department of Social Welfare and Development (DSWD), Department of Agriculture (DA) LGU Naga and Pili, Metro Naga Chambers of Commerce and Industry (MNCCI), Naga Filipino – Chinese Chamber of Commerce and Industry (NFCCCI), Camarines Sur Chamber of Commerce and Industry (CSCCI), Bicol Access Health Centrum, NICC Doctors Hospital, Tabang Bicol Movement, Bicol Habitat for Humanity, and Department of Environment and Natural Resources (DENR). 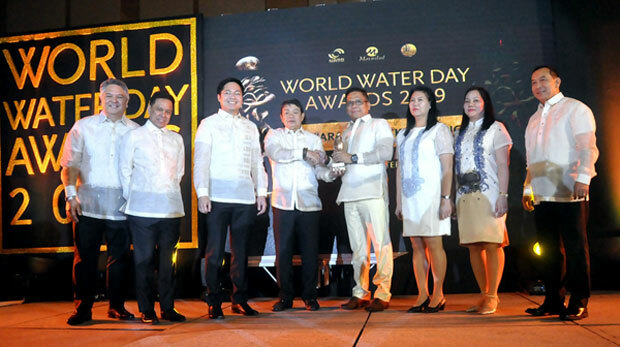 Together with the Naga City Mayor John G. Bongat who reassured his full support to the MNWD with his inspiring speech, the occasion was likewise participated in by the academe, business sector, government agencies, water utilities, media, and other stakeholders around MINP. In his speech, Chairman Jorge T. Palma enjoins the public to take part and be more proactive in the protection and conservation of Mt. Isarog Natural Park and the Bicol River Basin as these two water resources will answer to the water demands of the increasing population in the metropolis and adjacent municipalities. MNWD WATER GALLERY. 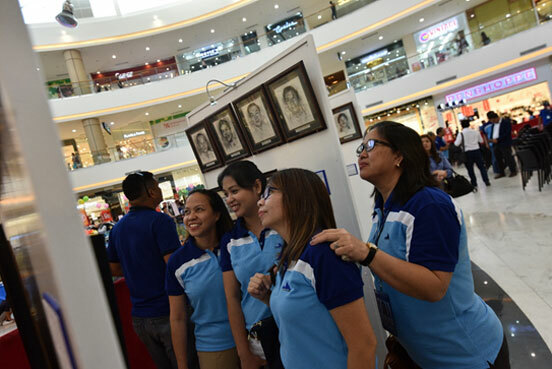 A photo exhibit was likewise set-up during the celebration in commemoration of the MNWD’s 40 years in public service through still photos dating back 1979 to present. 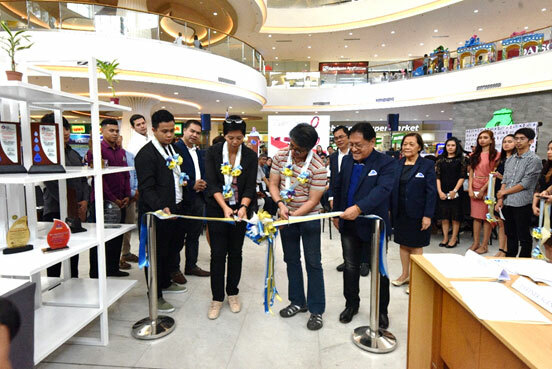 It was officially opened for public viewing during the World Water Day 2019 program in a ribbon-cutting ceremony (above photo). MNWD employees enjoyed the display of photos while reminiscing the past and seeing familiar faces (below photo). COMMITMENT SETTING. One of the highlights during the MNWD World Water Day 2019 is the unity puzzle assembled by the stakeholders to demonstrate support and commitment for the rehabilitation, conservation, protection, ecotourism development and establishment of Mt. Isarog Natural Park. MAIN EVENT. 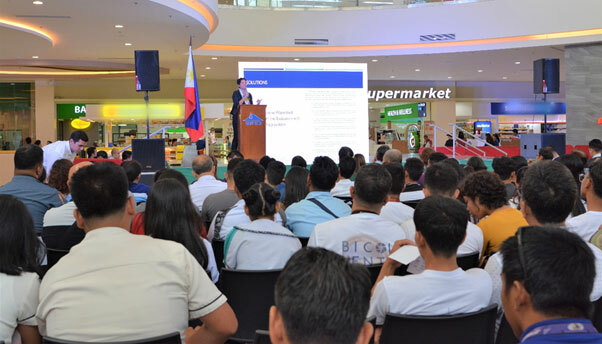 The MNWD World Water Day 2019 was participated in by representatives from the academe, business sector, government agencies, local government unit, water utilities, media, and stakeholders around MINP, and the MNWD community. PROGRAM SPEAKERS. Key personalities present to share their expertise and respective agency’s programs were Ferdinand C. Marcelo from Seacology Philippines (2nd row, left picture), Joana Joanaviva C. Plopenio, OIC Institute for Environmental Conservation and Research of the Ateneo de Naga University (2nd row, right picture), Grace L. Cariño on behalf of Atty. Gil. Aromin, CESO IV, Regional Executive Director of the Department of Environment and Natural Resources (3rd row, left picture), and Edward Dominic V. Valencia from the Project Monitoring and Evaluation Officer River Basin Control Office (3rd row, right picture). 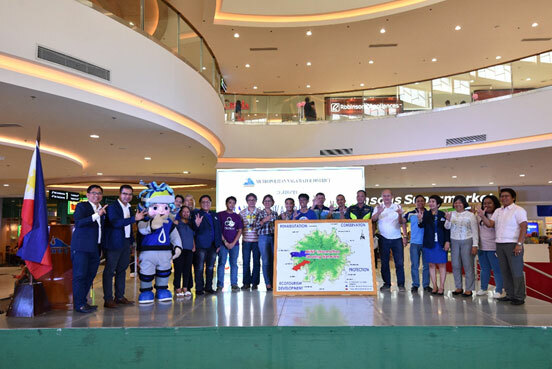 Also, present to give his message of support was Naga City Mayor John G. Bongat (above photo). AT THE VENUE. 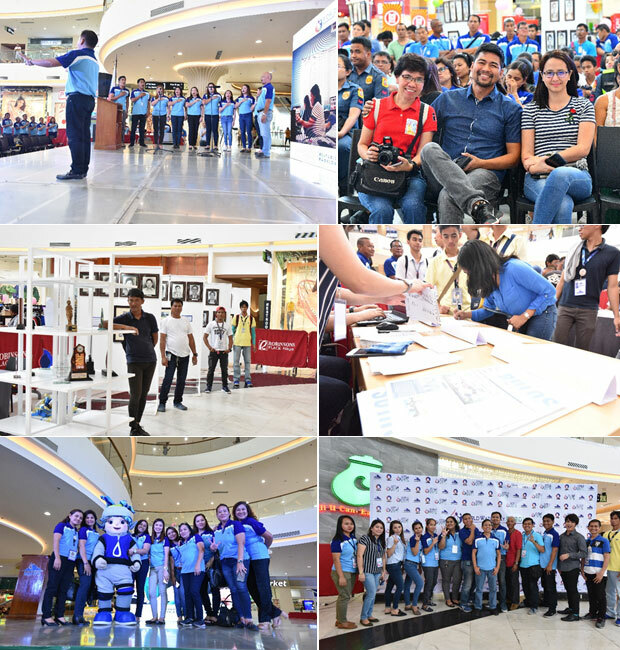 Moments captured during the MNWD World Water Day 2019 celebration at the Robinsons Place Naga on March 22, 2019.